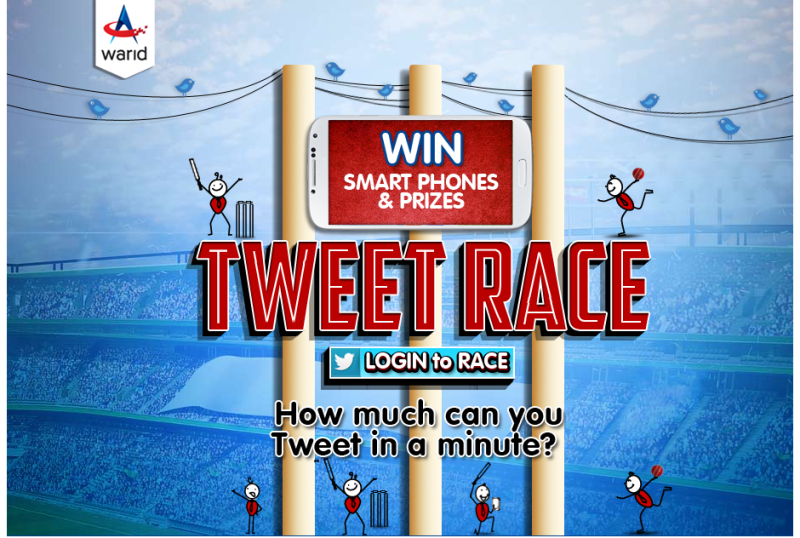 Warid brings the first Tweet Race in Pakistan! Join the Cricket fever and Win smartphones from Warid. 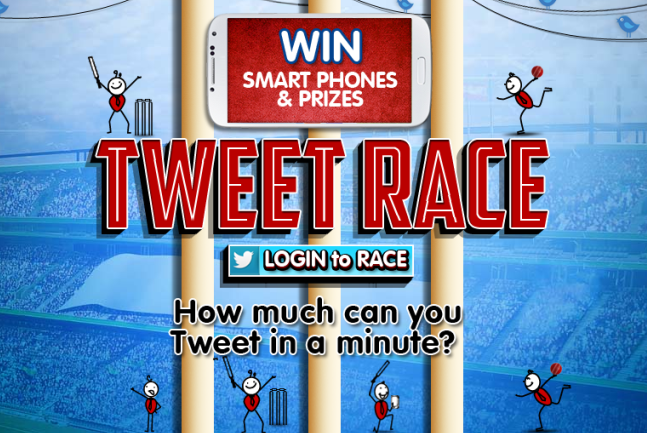 To participate in the Tweet Race, users have to tweet regarding the current cricket season or cricket generally.